Note: Earned premiums are equal to premium revenue collected by issuers. Individual market calculations are based on Medical Loss Ratio (MLR) data for 2013. 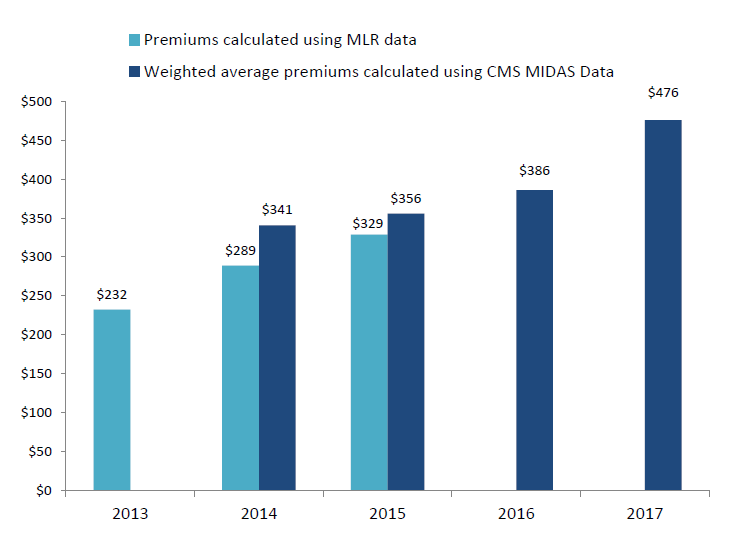 These data represent the entire individual market – including on- and off-exchange plans, as well as ACA-compliant and non-ACA-compliant plans. Healthcare.gov calculations are based on enrollee plan selections during the annual Open Enrollment Periods for 2017. These data do not take into account premium tax credits.